April 6th and 7th, 2019! All Day - Nerdvana's Board Game Library! Come try out a demo copy of a board game for free, take a break and relax while at the con! 10:00am-5:00pm: Cosplay Contest Registration *Entry is free in the Cosplay Contest! All ages welcome. Show off your costume and compete for a chance to win prizes! 12:00pm: Nerdvana - Spot It! Demo! Come out and learn this crazy image matching game. 2:00pm: Nerdvana - Happy Salmon Demo! Come out and learn this dexterity based party game! 10:00am-2:00pm: Cosplay Contest Registration *Entry is free in the Cosplay Contest! All ages welcome. Show off your costume and compete for a chance to win prizes! 3:00pm: Cosplay Contest at Music Pier Stage. Registration required. From Thought to Creation: “How to Start Your Own Series” discusses the process for creating your own series of comics. The discussion will include how to create chapters encompassing main and side plots and setting up for unexpected twists to be included within a story. The discussion will also include how to search for an artist for your story (if you are a sole writer), and the do’s and don’ts when creating your own comic. The completion of this panel will give the participants a clear path of the comic creation process while leaving them with a free comic book print and a start of a design of their own original character. 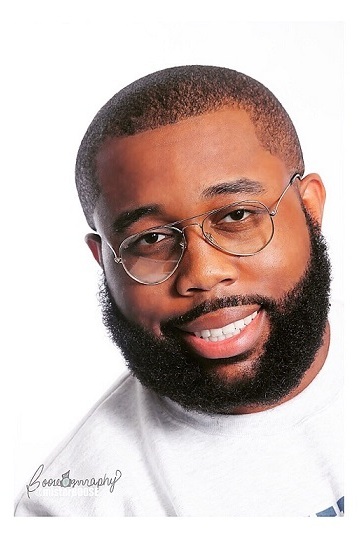 Calvin Chambers is a motivational and STEM speaker and writer from New Jersey who specializes in action and drama-based comics. 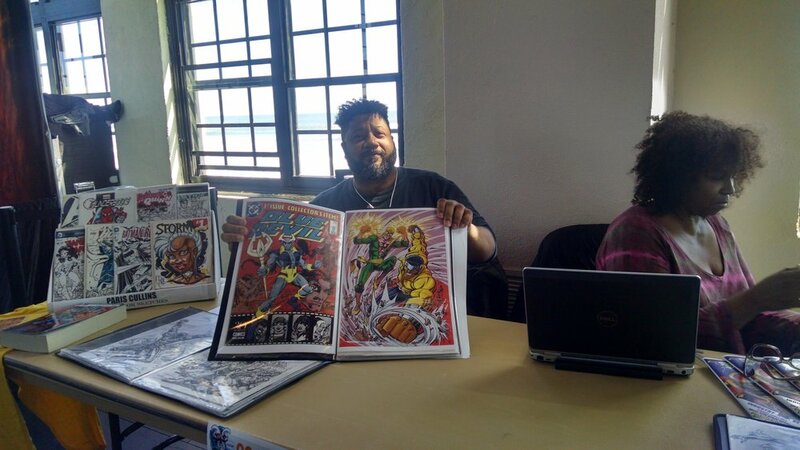 Before his appearance on Season 7 of Comic Book Men, Calvin had written two independent comic books and continues to write and produce his web-comic, Juice. Return to the days of the console wars (Genesis vs Nintendo) as we take audience members and pit them in 1 on 1 combat in video games challenges spanning three consoles. Do you have what it takes to be the king of games? Ever wondered about using your cosplay for something more than just walking around a convention hall? Well, with great cosplays comes great responsibility. This purely informative panel dives into the world of cosplaying for a cause. 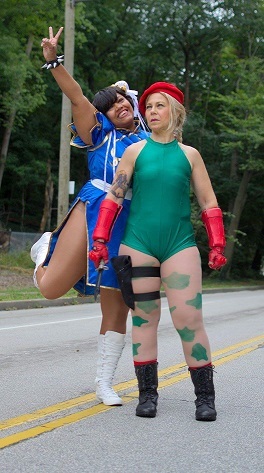 We talk about ways we can serve our community while having fun in cosplay, whether it's visiting sick children in the hospital, collecting food, clothes and toys for the less fortunate, or doing appearances at charity events such as marathons and other various fundraisers. We also talk about various ways to get oneself involved, either in solo ventures, or big group outings. We want to take our love of giving back to our communities and share it with the rest of the cosplay world to open their hearts to a uniquely rewarding experience. Welcome to the world of cosplaying for a cause! Trek: The Next Generation” television series and in feature films. acclaimed, earning over 200 awards including multiple Emmys and a Peabody. storytelling, in 2012 Burton launched RRKidz, a digital educational publishing company. live version of the podcast. LEVAR BURTON READS: LIVE! is coming to a theater near you. Education Association, FAST COMPANY’s Innovation Series and many more. 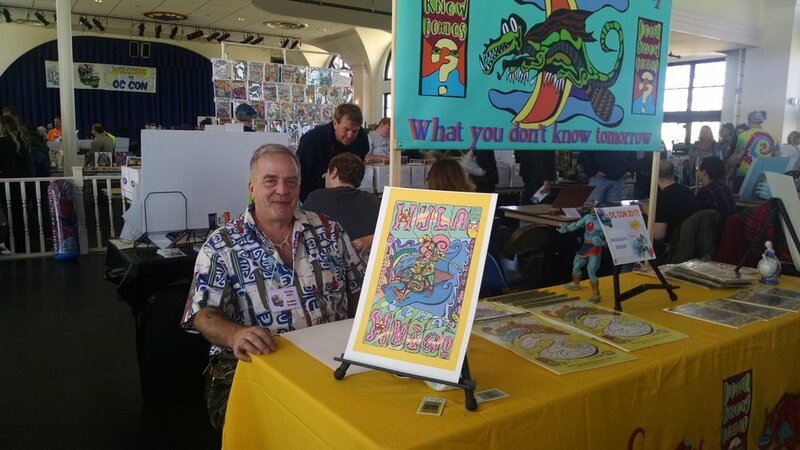 Michael S Bracco is a graphic novel author and illustrator of The Creators, the award-winning Novo series, and Adam Wreck and the Kalosian Space Pirates. 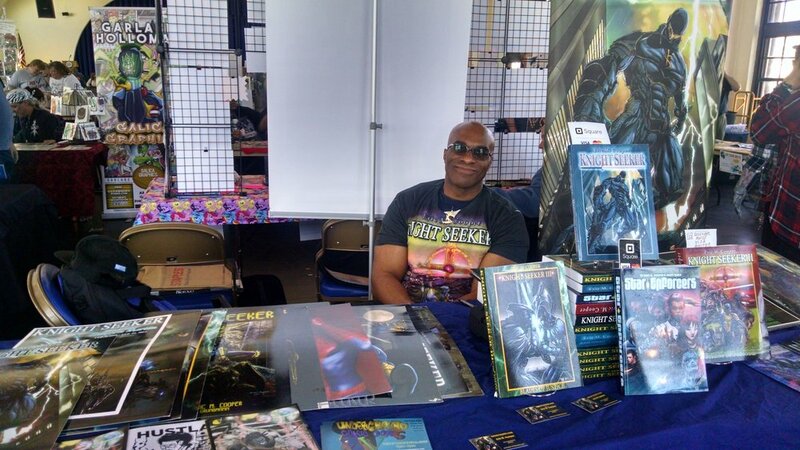 Along with his comic work, Michael owns and operates Spaghetti Kiss, a craft company showcasing hand-screened apparel for men and women featuring his original science fiction and fantasy illustration. Michael is also a cast member for the performance art group, Super Art Fight. 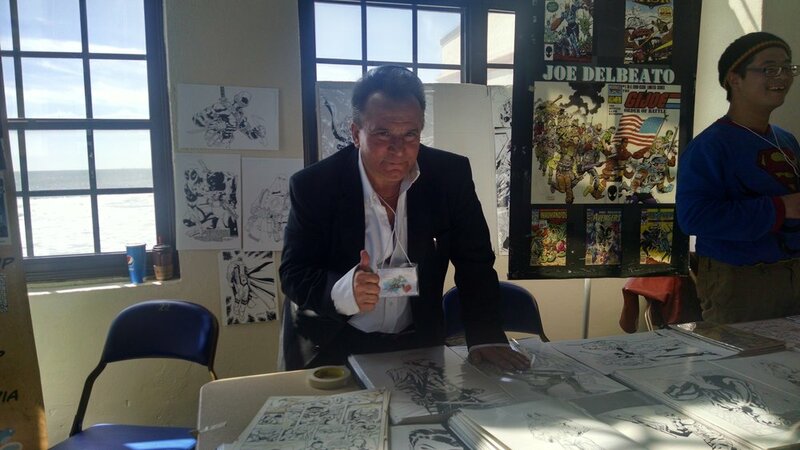 Philadelphia born artist/inker Joe del Beato's works are well known for inks and cover illustrations for Marvel/Hasbro's GI Joe: Order of Battle toy line art, Justice, Cloak and Dagger, Sectuars, and Avengers. Joe is also known for his extended works for DC's Atari Force and the ever so popular MASK and Who's Who: The Definitive Directory to the DC Universe. Joe now lives in Atlantic City, where he teaches after school programs on comic book illustration to school children at the public library. Tony DiGerolamo is a New Jersey screenwriter, novelist, comic book writer, game designer and comedian. He is best known for his work on The Simpsons and Bart Simpson comic books. He has also been a joke writer for Politically Incorrect with Bill Maher, a scriptwriter for Space Ghost: Coast to Coast and a blogger for Comedy Central’s Indecision website. He has written the screenplays including Mafioso: The Father, The Son starring Leo Rossi. His novels, Fix in Overtime and The Undercover Dragon are available through Padwolf Publishing. After publishing his own comic books (Jersey Devil, The Travelers and The Fix) with SJRP, he eventually got a publishing deal with Kenzer & Company. Kenzer published The Travelers. Tony also wrote Everknights (another Kenzer comic book), as well as the Hacklopedia of Beasts (Volumes 1 thru 8) and Slaughterhouse Indigo (an adventure for the Hackmaster RPG). He also adapted Mark Twain's Personal Reflections of Joan of Arc for Campfire. Performing in the Philly comedy scene for over ten years, Tony performed and directed such improv groups as Next Line Improv, The Cabal, The Ninjas and Bulletproof Giraffe. Besides writing for various comedy websites, he had a long running comics review column in Knights of the Dinner Table magazine. He was the marketing director for comics publisher, Silent Devil. He is creator of Tony DiGerolamo’s Complete Mafia for d20, creator/biographer for the online webcomic, Super Frat, the co-creator of the Webcomic Factory, and writer for the over two dozen webcomics on the Webcomic Factory site including Lester Crenshaw is Dead, Miserable Comedians and Weird Biker Tales. Look for his latest book, F*ck You, I’m Italian: Why We Italians Are Awesome, from Ulysses Press. Mike Isenberg is a co-creator (along with Oliver Mertz) of the indie comic series “First Law of Mad Science”, which Broken Frontier called, "a well-crafted science fiction epic powered by both enthusiasm and imagination." Neil King has been an illustrator for over 30 years. He has worked in advertising, graphic design, political forums, animation, video, and web media. 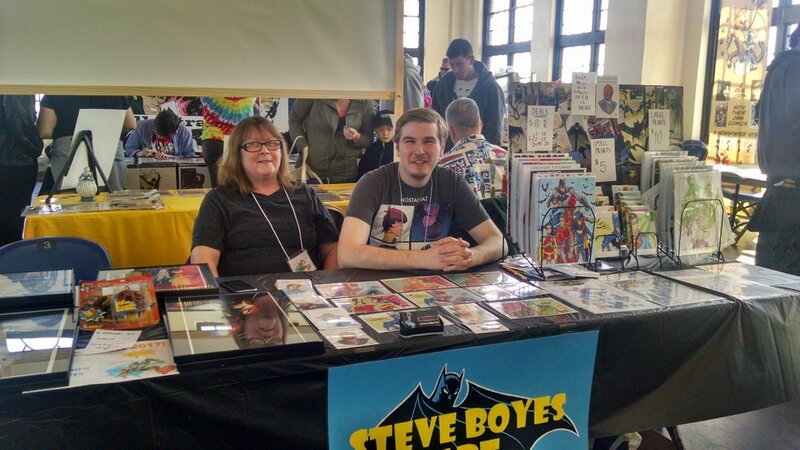 Neil creates comics and graphic novels for kids, teens, and adults. He has also been a high school teacher for over 25 years and hopes to making stories for kids and adults for the rest of his life. Oh, and he loves to draw sketches at conventions! Joanna Lee Miller is a South Jersey native. Like most kids that grew up in the 80s/90s, many Saturday mornings were spent glued in front of the TV. Armed with a bowl of Lucky Charms and some pencils/paper, she watched (and drew) cartoons for hours. This weekend ritual eventually developed into a BFA degree in Illustration from Ringling School of Art and Design, which then led into an often crazy (but awesome) art career. Joanna is a Commercial Illustrator specializing in Character Design, Product Development, and Animation Art. She has created work for clients such as Hasbro, Nickelodeon, Personal Creations, and Butlins UK. 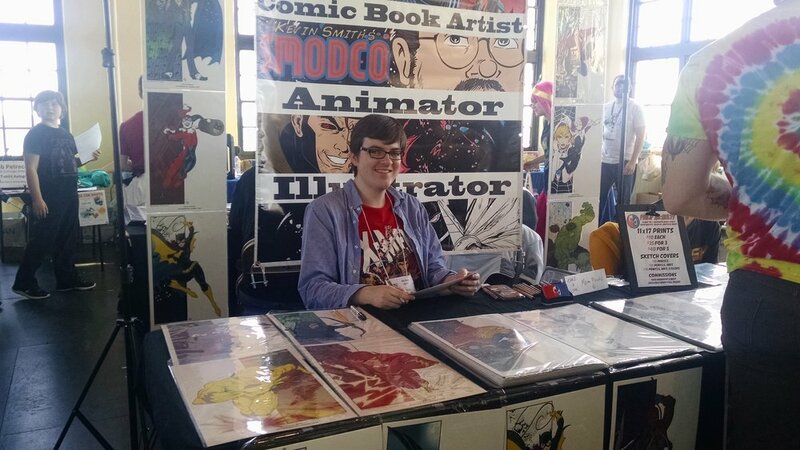 Classic video games, comics, and traditional animation continue to play a huge part in her illustration work. When she isn’t taming wild unicorns or kicking a** at pinball, she is always developing new art. 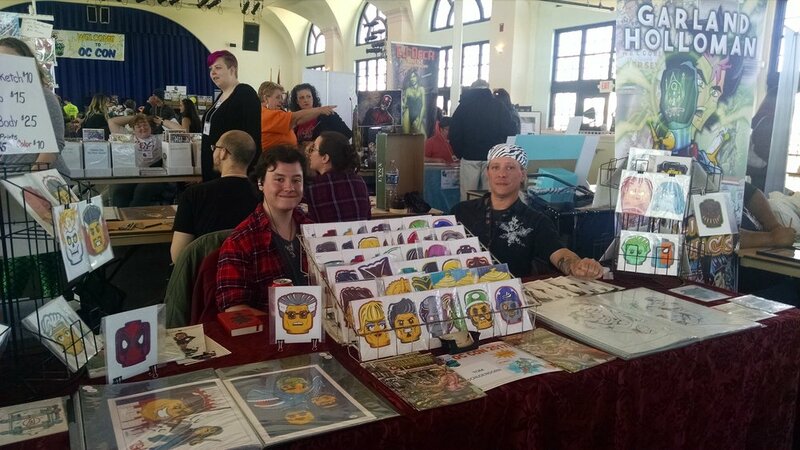 Stop by her booth and say hello..and buy some of her art too, it’s totally rad. Since the day he picked up his first Ticonderoga 2.5 Medium pencil, Don J. Morgan has wanted to draw cartoons. So draw he did. On magazines, walls, school books and sometimes even in sketchbooks. As Don J. grew up, he created comic strips with such memorable characters as Professor Doodlewigglewum, a medicine man in a traveling show, and Possessed Pete, a shy kid just trying to fit in during the middle school years. Oh by the way, he was possessed by the Devil. While working as a graphic designer and animator, Don J. was asked by SundanceNOW website if he wanted to create a webcomic for their blog. That’s when Films VS Movies was born. Now running on it’s own website, Films VS Movies dares to ask the question...which side are you on? It started at the age of 3, while illustrating Spider-Man on the back of an uncolored page from a coloring book. Since then, Philip McNulty has been bringing his 90's comics influenced style into such outlets like William Shatner's Man O War, Kevin Smith's SModCo. Cartoon show, and Marvel's X-Men. Quite simply, Philip McNulty is an animator, illustrator, and comic book geek. 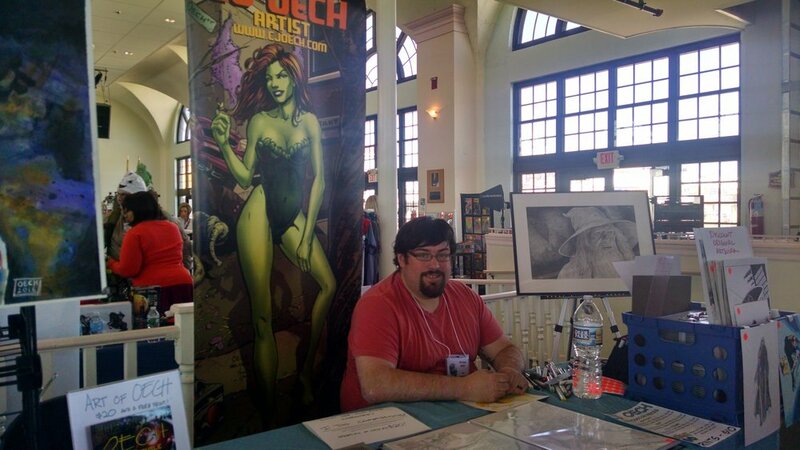 CJ "Oech" Oechsle is a NJ-based freelance artist & graduate of The Kubert School. During his time at TKS, CJ was featured in Dare 2 Draw's "New Talent Mentoring Anthology." Since graduation, he has been working for companies such as Dynamite, Inbeon Studios, and Time's Arrow Productions. You can currently find CJ's artwork in "MISTER CROWLEY," a horror/action comic he co-created with writer Dan Ball. "MISTER CROWLEY" #1 is now available from Time's Arrow Productions. To see more of CJ's projects (including his portfolio, commissions info, and upcoming appearances), follow him on social media at @cj_oech_art or visit his website: . CJ lives in South Jersey with his wife Nicole, his cat Penelope (PEE-nah-LOPE) and crushing amounts of student loan debt. Bob has also brought his abilities to Upper Deck where he has done full color Marvel art, as well as paintings for Fox's "Firefly: the Verse" 10th anniversary card set and the "Firefly Legendary" card game. Currently, he is hard at work on another batch of cards for Marvel/Upper Deck as well as bringing to life a very special comics adaptation to rock band The Dear Hunter's album: "Act II: The Meaning Of And All Things Regarding Ms. Leading." After time well spent at both the Joe Kubert School of Cartoon and Graphic Art and the Savannah College of Art and Design (SCAD), Luke Petrecca is hitting the ground running with work for Upper Deck, The Dear Hunter, and this year's OC Con limited edition shirt! Tom is also a Senior Contributor for the Inkwell Awards, a non-profit organization to promote and educate about the art of comic book inking. George Vega is an Illustrator known for his work as a sketch card artist & comic illustrator. He has worked for companies like Upper Deck on their Marvel, Aliens, Firefly and Marvel film franchise card sets. You can also read his free web comic “The World Of M (dot) net”, which he created and illustrates. Nadine Crone - Mini figures, pop culture plushies, “magic” wands etc. 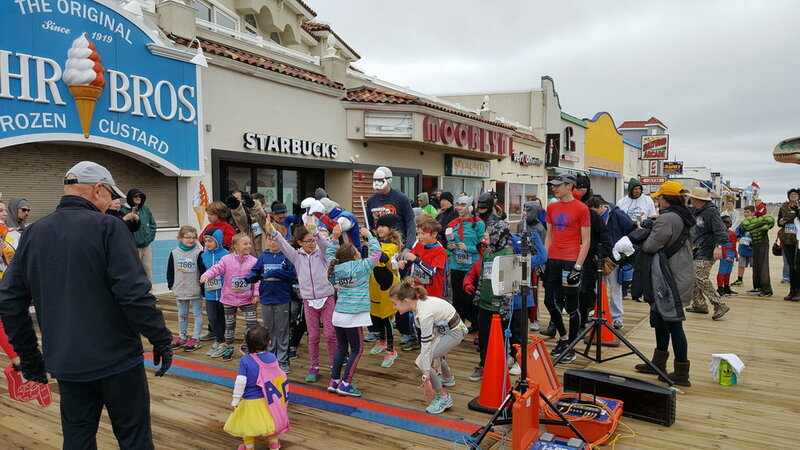 CLICK HERE FOR 2019 RACE REGISTRATION! “Not all that long ago in a galaxy not all that far away… A band the likes of which the universe had never seen was formed for one purpose — to create an unstoppable musical “force” known as GALACTIC EMPIRE. Comprised of some of the most infamous and feared villains in the galaxy — lead guitarist Dark Vader, drummer Boba Sett, guitarists Red Guard and Kyle Ren, and bassist Bass Commander — GALACTIC EMPIRE’s commitment to their mission is unparalleled. GALACTIC EMPIRE’s debut and sophomore albums are available now on Velocity / Rise Records. Appearing Saturday and Sunday…The Batmobile! Appearing Saturday and Sunday…The DeLorean! For all questions, please fill out the form below..